Spondyloarthritides (SpAs) encompass heterogeneous diseases sharing similar genetic background, pathogenic mechanisms, and phenotypic features. Vitamin D is essential for calcium metabolism and skeletal homeostasis. Some recent evidences reported supplemental functions of vitamin D, such as modulation of inflammatory reactions. 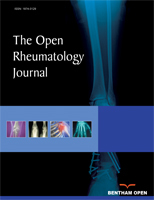 To analyze published data about a possible association between vitamin D and SpAs. Vitamin D could play a role in immune reactions, influencing both immune and adaptive response. Vitamin D deficiency is more frequent in SpAs than in general population: an active and more severe disease infers patients’ mobility and reduces sunlight exposure. Quiescent inflammatory bowel disease, frequently associated with SpAs, could worsen vitamin D deficiency. All the parameters related to UVB exposure are the most important determinants for vitamin D status and need to be considered evaluating the vitamin D levels in SpAs. Apart from musculoskeletal problems, patients affected by SpAs frequently suffer from other comorbidities, especially cardiovascular diseases and osteoporosis, and vitamin D status could have a relevance in this field. Bone is involved in SpAs with a dualistic role, coexisting trabecular bone resorption and new bone formation. It seems rational to monitor vitamin D levels in SpA subjects and to target it to global health threshold. Literature data were not completely in agreement about a possible relation between poor vitamin D status and onset or worse disease course of SpAs. In fact, these results come from cross-sectional studies, which affect our ability to infer causality. Therefore, large, randomized controlled trials are needed. Keywords: Vitamin D, Spondyloarthritis, Reactive arthritis, Ankylosing spondylitis, Psoriatc arthritis, Enteropathic arthritis. © 2018 Crotti et al.